Bookshops that aren’t really bookshops have an unmistakeable feel about them, like faux Italian cafes that serve butter chicken a la Tuscany. The books will take second place to a variety of other tchotchkes: handbags, pretty stationery, cellphone covers, aromatherapy candles and incense sticks, tatty jewellery and assorted bling. The high-end bookstores will display these tastefully, the middle-range bookstore will lay these out in the manner of a Janpath pavement sale, but the effect is the same—to warn the bibliophile to step carefully. There is nothing innocuous about this merchandise; like a virus, it will slowly infect an even otherwise good store, until it has vanquished the books completely. This is the kind of bookshop most commonly found in the places where new readers come in, lured by the idea of buying books. Often, these readers have had far more exposure to the cinema or to music than they have to reading. You cannot reasonably expect readers to thrive in an environment where most homes have magazines and TV, but no one buys a book in months, where there are few local libraries or good school libraries. When a seasoned reader steps into the kind of bookstore you find in malls and large markets—the small, independent bookstores cannot afford the rates a Swarovski crystal showroom would pay—they know what to expect. But when a new reader comes in to one of these stores, they will leave with either the junk food of familiarity—popcorn bestsellers, bhelpuri consume-and-throw novels—or a faint sense of having been cheated, even if they can’t name what they’re missing. In a completely unscientific survey of friends on Twitter, I asked what made a bookshop special. Marryam Reshii spoke of a “book city” like Singapore, with several excellent bookstores, and singled out Kinokuniya’s delights. Harini Calamur brought back memories when she mentioned Lotus in Bandra, situated over a petrol pump. Half of an entire bookshelf in my house is furnished with recommendations from Virat, Lotus’s manager. 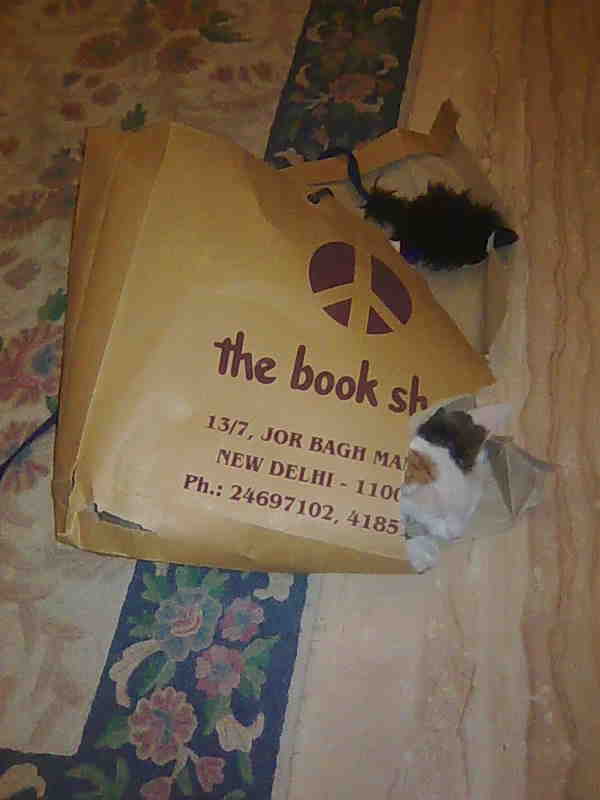 When Lotus shut down, our budget for books shrank until we moved disastrously close to The Bookshop in Jorbagh, where KD Singh helped me discover author after author I’d have never encountered otherwise. Many mentioned both of the legendary Shanbaghs—the late TN, whose Strand bookstore in Bombay built readers’ collections and their book memories, and TS, who runs Premier in Bangalore. As the recommendations and stories came in, I understood why people love certain bookstores, like Giggles in Chennai and can’t accept the ersatz ones we’re offered these days, however many varieties of coffee and pastries they serve. The right owner or manager becomes part of your reading life; Nandita Saikia remembered how Crossword would allow customers to stay on and read, becoming a surrogate library. The second function of a great bookstore cannot be replicated by a search engine. The books I buy on the Kindle or in other e-book formats reflect my tastes, and how sad it is to be a prisoner of one’s own tastes, however eclectic. The writer Annie Proulx explains our need for secondhand books, and for bookstores that allow you to explore. “On the jumbly shelves in my house I can find directions for replacing a broken pipe stem, a history of corncribs, a booklet of Spam recipes, a 1925 copy of “Animal Heroes of the Great War” (mostly dogs but some camels); dictionaries of slang, dialect and regional English,” she writes in a New York Times essay. The bookstores my friends named—Blossoms in Bangalore, Giggles in Chennai, Literati in Goa, Bhartiya Pustakalaya in Jammu, Grantha Mandir in Berhampur—were, to us, places of magic. In our hearts, we readers are secret Amundsens and Norgays, and the reading obsession is nothing less than a desire to experience all of the world, or as much of it as can be contained between the two covers of a book. @nilanjanaroy Lotus bookshop in Mumbai, where Virat the book shop manager introduced me to some of the best authors i have read.
.@nilanjanaroy Strand Bookstall, Fort, Mumbai. Always friendly. Always discounted rates. @nilanjanaroy Crossword, Pune: Sat down & read almost every afternoon in law school, often used it like a library. They never complained. @nilanjanaroy the illiterate cafe, dharamshala. @nilanjanaroy i loved landmark in Chennai, before it became a confectionary and perfume store that sells some books..
@nilanjanaroy I mentioned Foyle and Kinokuniya! @nilanjanaroy Leakey’s 2nd-hand bookstore in Inverness, Scotland. In an old church, towering shelves stuffed with rare books. Like a dream. @nilanjanaroy Strand, Bombay. It’s sales blessed poor me with riches. Thanks Mr. Shanbag! @nilanjanaroy Blossoms, Bangalore. Bookworm, Bangalore. @nilanjanaroy Mine was Premier #bookshop in Blr till it shut down, bldg was sold, Shanbag knew what I loved to read – makes a difference. @Panda_Jay @nilanjanaroy And Modern book depot managed by an extremely nice and intelligent man! Almost a legend here. @nilanjanaroy & of course there is the book pallozza i.e#Kikokuniya in Singapore.
.@nilanjanaroy ‘Blossoms’ in Bangalore and senapati bapat road Crossword in Pune. Love these places! @nilanjanaroy Bookworm, Church St., Bangalore. IMO, they give better “If you liked book X, you’ll like book Y” recommendations than Amazon. @nilanjanaroy yes! case in point: Dasgupta’s Calcutta 🙂 Also love Changing Hands, a second hand bookstore in Tempe, Arizona. @nilanjanaroy ofcourse! And MayDay in Delhi also organizes book reading groups which are really nice. @SanSip @nilanjanaroy Blossom, Strand, the dear departed Premier in B’lore. From an earlier time, the late great Smokers’ Corner in B’bay. @nilanjanaroy Book Culture and Strand Bookstore in NYC. Midlands and Bahrisons in Delhi. @nilanjanaroy Midland Booksellers in Green Park, Delhi for their 30% discount throughout the year! . @aayushsoni @nilanjanaroy Judd Books in London is great for academic titles. @nilanjanaroy Crossword is my fav chain… may be more coz of the bong factor. @nilanjanaroy my family would regularly call the original Landmark #bookshop in Madras and ask the staff to please send me home.